Work for Comodo cWatch Website Security Stack? Learning about Comodo cWatch Website Security Stack? "Awesome customer service and results !" My site was hacked and Comodo clean it for FREE ! That's right the first time they will scan your site and CLEAN the malware for FREE ! Nothing really, maybe when you reach them for the first time is not comfortable to hand out your password information for your Cpanel, but after everything is set and done, you change your password and that is it ! My site is now protected and I have peace of mind. Delivers web content faster and there is no delayed reaction! Please consider using this product its very efficient! The firewall is very reliable, it definitely protect my computer in any malicious activity. * We monitor all Comodo cWatch Website Security Stack reviews to prevent fraudulent reviews and keep review quality high. We do not post reviews by company employees or direct competitors. Validated reviews require the user to submit a screenshot of the product containing their user ID, in order to verify a user is an actual user of the product. Hi there! 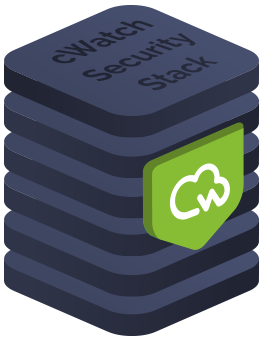 Are you looking to implement a solution like Comodo cWatch Website Security Stack?